Scripps Florida is a state-of-the-art biomedical research facility, on approximately 30 acres within the boundaries of Florida Atlantic University's Jupiter campus. Using the latest research technology, researchers at Scripps Florida focus on basic biomedical research and drug discovery. 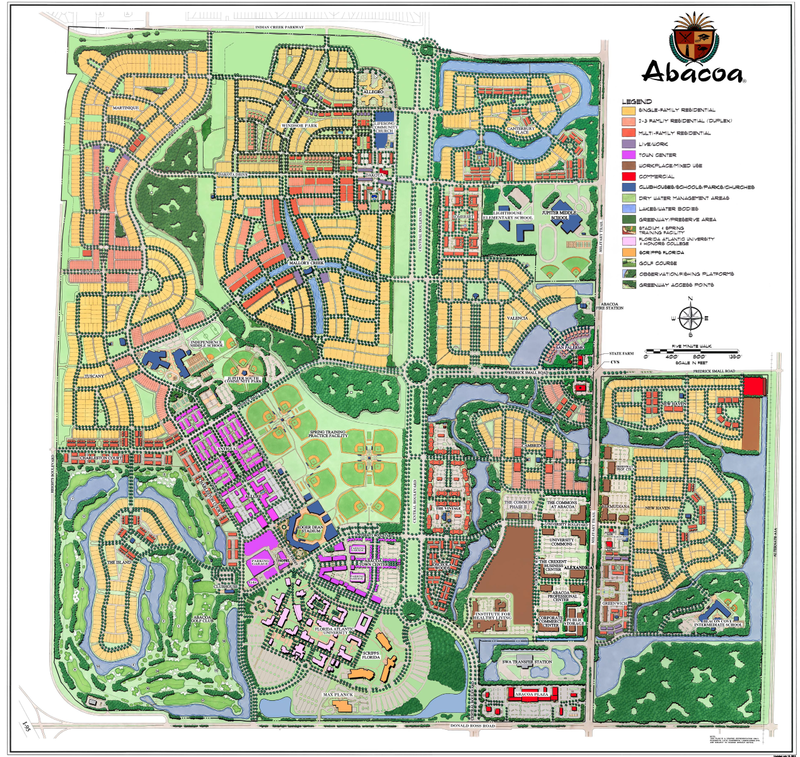 Since 2004, Scripps Research has called Jupiter’s Abacoa community home. One of the world’s leading independent biomedical research institutes, Scripps Research operates bicoastally, employing nearly 2,000 people in San Diego, California, and Jupiter, Florida. 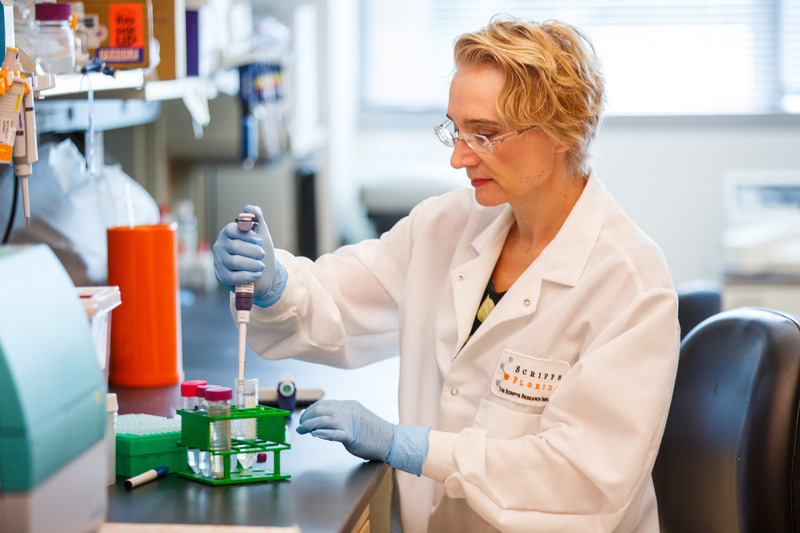 Antibody and immune therapies designed to attack cancer with precision. A new approach to tackling “undruggable” diseases, including muscular dystrophy, heart fibrosis, cystic fibrosis, advanced cancers and more. Improved compounds for pain management that curb the risk of overdose and other opioid side-effects. A potential medication for ALS, an incurable neurodegenerative disease. Potential medications targeting diabetes and osteoporosis. Treatments designed to protect nerve cells in Alzheimer’s, Parkinson’s and CJD. Discovery of the role and mechanism of forgetting in healthy brain function. Compounds designed to improve stem cell therapy in heart disease and other diseases. A treatment for drug addiction that reduces the power of memories to trigger cravings. Characterization of genetic causes of autism in pursuit of therapies. • Advancement of vaccine and gene therapy approaches to prevention and treatment of HIV. Discovery of the mechanism by which the Zika virus causes birth defects in pursuit of a vaccine and medications. The nonprofit institute’s 550+ principal scientists, researchers, students and staff in Florida depend upon grants from the State of Florida, the National Institutes of Health and other government grantmaking agencies. Generous donors and foundations partner with the institute to leave a lasting impact on science and human health. The world’s leading scientific journal, Nature, in 2017 named Scripps Research No. 1 in the world for influence on innovation, and in 2018 named it No. 1 in the United States for high-quality research published in top scientific journals. Nearly 70 graduate students pursue PhDs in biology and chemistry within the Skaggs Graduate School for Chemistry and Biology at Scripps Research in Jupiter. The school is ranked top-10 for chemistry, biology, and biochemistry by U.S. News and World Report. Surrounding colleges and high schools benefit from the institute’s internships and educational programs. Nearly 300 Florida Atlantic University Honors College students have conducted internships in Scripps Research laboratories, and 10 to 20 local high school students conduct hands-on research every summer.